Need to stretch your iPhone/iPad app budget? 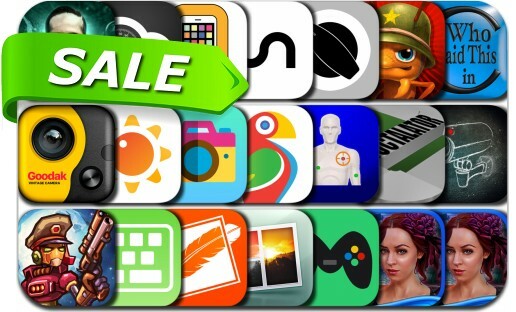 Here are 21 great iPhone, iPad and iPod touch apps that just went on sale. This app deal alert includes Mini Watch Games 20-in-1, Brushstroke, ToonCamera, SteamWorld Heist, Relight, PadKeys Keyboard, Small Town Terrors: Galdor's Bluff, Phoenix Pro Photo Editor, Anthill, Goodak, Who Said This in Conference, Sylo, Photostein and many others. Sylo - Any Song. Any Artist.